• Security and winning trust of customers was a challenge during usage of the service. • Computation of profitable pricing for all routes was a problem. • During rush hours waiting time for customers caused inconvenience. • Heavily regulated norms of transportation industry had to be adhered to. I. What have been the key reasons for success of HippoCabs? II. Analyze the business model of HippoCabs. III. Suggest, with justification, the initiatives HippoCabs could take to sustain and grow. HippoCabs, an intercity shared cab service that offered convenience, comfort and luxury of a cab at the price of a bus was launched in July 2015 on the Delhi-Jaipur route with pocket-friendly fares starting from INR1,899. Today it boasts of presence in 100 cities and on 650 plus routes covering complete Rajasthan, NCR, Punjab, J&K, Himachal Pradesh and some parts of Maharashtra, Gujarat and UP. With a quick and smooth signup process, it facilitated smooth ride booking for its customers. It also allowed its customers to reserve each seat separately instead of booking the whole cab. HippoCabs was committed to transforming the lives of those who offered rides and those who needed them. The company followed aggregator model wherein it did not own any cabs, it only paid the driver a fixed amount on per-trip basis and charged customers for their seat. This teaching note attempts to analyze the business model of HippoCabs and its pro’s and con’s. It also covers the challenges the business faced and the future plans of its founders. The rationale for the study involves analyzing challenges and opportunities in entrepreneurship, studying the feasibility of a business idea, assessing customer needs, designing product-service offering and being unique. The case relates to transportation industry and the organization considered is HippoCabs an intercity cab aggregator. The case focuses on the differing innovative strategies adopted by the entrepreneurs to address its strategic growth needs in an intensely competitive marketplace. • To understand Business Model for intercity shared cab service. This case highlights the Business Model of HippoCabs – an intercity shared cab service that offers convenience, comfort and luxury of a cab at the price of a bus. HippoCabs positioned with the tagline – “Your Travel Mascot”, is a cab aggregator started by three young Jaipur-based like-minded entrepreneurs Sahil Agarwal, Sagar Agarwal and Ashish Kumar. It was launched in July 2015 on the Delhi-Jaipur route with pocket-friendly fares starting from INR1,899. The company does not own any cabs, it only pays the driver a fixed amount on a per-trip basis and charges customers for their seat. HippoCabs, with its customer-friendly outlook and effective service was assisting drivers earn a consistent livelihood with integrity. Satisfactory Customer experience was their prime concern and keeping it consistent and improving it further was very important for them. 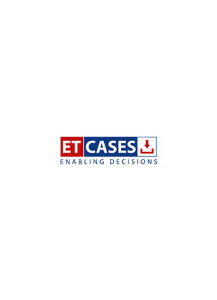 This caselet can be used in the MBA/MDP for analyzing challenges and opportunities in entrepreneurship, studying the feasibility of a business idea, assessing customer needs, designing product-service offering and being unique. The case focuses on the differing innovative strategies adopted by the entrepreneurs to address its strategic growth needs in an intensely competitive marketplace.